APP Propane has become the 31st largest propane retailer in the United States. 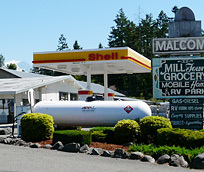 APP Propane sells propane throught Washington State including Olympia, Tacoma, Seattle, Federal Way, Puyallup, Bremerton, Everett, Longview, Renton, Kent, and more. 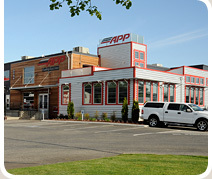 Tacoma, WA – APP Propane continues its fast paced growth of the past 10-years, becoming the 31st largest propane Retailer within the United States as ranked by LP Gas Magazine’s February 2012 Top 50 Propane Retailer listing. APP Propane has achieved this significant growth in serving propane customers throughout Western Washington and Kittitas County. The company is poised for future expansion with a focus on both additional Washington and Oregon markets. “APP Propane prides itself on being the Northwest’s Best Value in propane by being one of the fastest growing propane companies in the Nation, having grown from a start-up offering in propane in 2002, to become the 31st largest propane Retailer in the United States in 2011” stated Don Kollmansberger, APP Propane Marketing Manager. “How we do that is by operating a modern fleet of propane bobtails, using a cabover design with larger propane storage tanks, and by keeping its customer prices highly competitive with other propane options.” Kollmansberger added “We earn one customer at a time through tight overhead cost control along with offering a wide range of customer friendly values”. 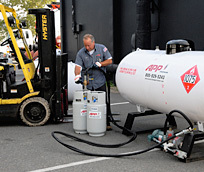 • Propane fuel and tank services for Residential, Commercial, and Industrial users.